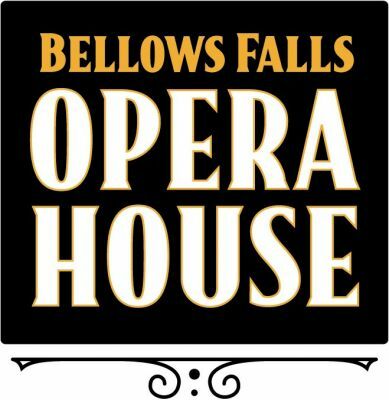 OPERA HOUSE: The 1926 Bellows Falls Opera House underwent a $3.7 million renovation in 2004-2006. The 550-seat theatre features comfortable seating, extra leg room, a robust film schedule and large performance stage. The full concessions stand is known for the "$5 Triple-Up" deal, which provides patrons with large popcorn, large box of candy and large soda (or two bottled waters!) An elevator is available for people with mobility issues, as well as designated seating for wheelchairs. The Opera House is in the middle of downtown Bellows Falls, accessed by Rockingham Street from one end of town and Westminster Street from the other. Parking downtown can be limited, but lots surround the Downtown Square: Island Park, Waypoint Center, TD Bank, Bridge Street, Newberry (next to American Legion), Westminster Street (behind the Flat Iron Café building), Miss Bellows Falls Diner and Amtrak train station. From 91 North and South take the Rockingham/Bellows Falls exits. From 12N cross the CT River bridge in NH into Bellows Falls VT. Bellows Falls boasts many restaurants for a pre-show dinner. Arrive a few hours before the show to shop and enjoy diverse dining! Find your way to Bellows Falls, Vermont!